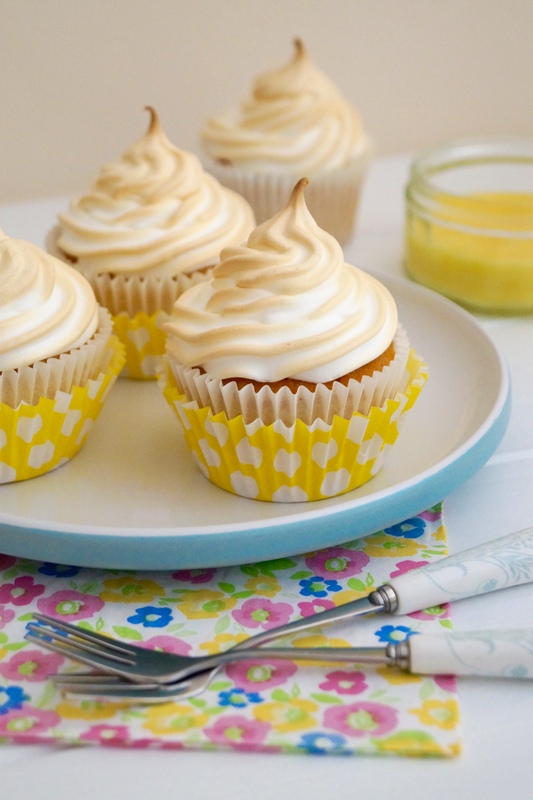 Lemon cupcakes filled with lemon curd and topped with fluffy meringue. Everybody’s favourite dessert in cupcake form! It’s great to be working with Aldi on this baking project! With The Great British Bake Off is back on our TV screens, we have rediscovered our love of all things baking! Baking is a great activity and fun for the whole family get involved with. This year Aldi has expanded its range, adding 14 new lines to its own-brand, The Pantry, as well as a selection of products from Dr Oetker, Silver Spoon and Wrights. From fruits to flour, Aldi’s baking essentials are sure to send you on your way to being the next Star Baker. My challenge was to bake and showcase Aldi’s bakeware range. Whenever I go food shopping, you will always find me transfixed down the baking aisle. I love stocking up on all my baking essentials, chocolate chips for cookies, sugar, flour, there is always something I have to buy! Aldi has lots of recipes and baking inspiration on their website. If you’re like me and have a serious sweet tooth, then click here to browse all the delicious sweet treats and try out a recipe yourself! After spending ages drooling over all the scrumptious recipes, I finally decided what I wanted to bake. The lemon meringue cupcakes ticked all the boxes for me, lemon cupcakes have always been my favourite and I love meringue. I decided to share my own recipe, I’ve been making these cupcakes for a very long time and they’re always a big hit with my family, so I thought it would be the perfect opportunity to share on the blog. The cupcakes are bursting full of tangy lemon sweetness. I used my perfect vanilla cupcake recipe as a base for these cupcakes, the only change I made was I took out the vanilla extract and added lemon zest to the mix for that lemony flavour. 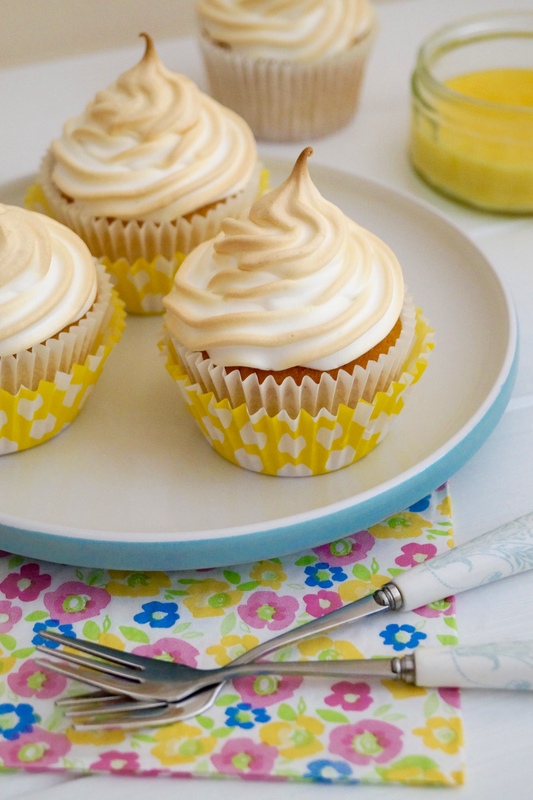 Each cupcake is filled with lemon curd (I used homemade) and then topped with fluffy meringue frosting. I toast the meringue under the grill until it is golden, don’t over do it and burn the meringue! As you bite into the cupcake it’s the taste of summer. I hope you enjoy these as much as we did! To make the cupcakes: Preheat oven to 180°C / 160 Fan / 350°F / Gas Mark 4. Line a cupcake tin with 12 paper cases. Mix the sugar and lemon zest together until combined. Cream the butter and lemon sugar until light and fluffy. Add the eggs one by one and beat until fully incorporated. Now add the flour and lemon zest along with the water/milk. Continue to mix until the mixture is smooth. Scoop the cupcake batter into the paper cases – I use an ice cream scoop to do this. Bake for 20-15 minutes or until a cake tester comes out clean. Leave the cupcakes to cool in the tin for a few minutes, then remove from the tin and leave to cool on a wire rack. Once completely cool, cut the centre out of each cupcake and fill with the lemon curd. To make the meringue frosting: Whisk the egg whites in a grease-free bowl until stiff. Gradually sprinkle in the sugar – about a teaspoon at a time and continue whisking until thick. Add the cornflour and whisk again. The meringue should hold stiff peaks. Fill a piping bag with the meringue. Pipe a swirl of meringue on the top each cupcake. Place the frosted cupcakes under the grill until the meringue is golden – make sure you watch the meringue, it can easily burn and will taste bitter. You can also use a blowtorch, if preferred. Allow the meringue to cool after baking and then serve the cupcakes. Cupcakes will store in an airtight container at room temperature for up to 3 days. These look lovely – love the double cupcase look – very pretty! Wow- these looks amazing Jess! I love cupcakes that are filled with pretty much anything, but this flavor combo screams summer. Love it! too, too perfect! These look gorgeous. All that zesty yellow – pretty! love that you have ALDI in the UK! and love these cupcakes! I love lemon meringue!! Your cupcakes are always beautiful! Love lemon curd! Pinned! Wow, how exciting to be working with Aldi! 🙂 And these cupcakes? Beautiful. Pinning! These cupcakes are just gorgeous, Jess! I love the meringue topping. Such a perfect summer treat! 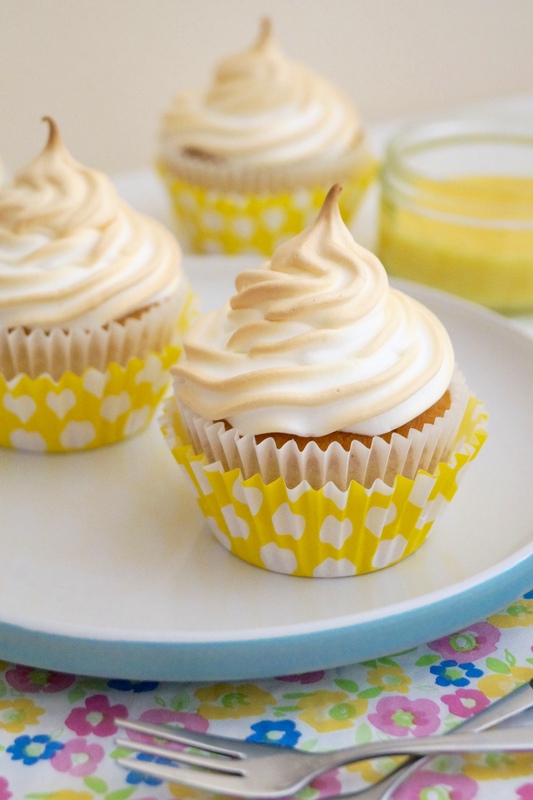 I’m all about lemon meringue this week too Jessica! It’s such a killer combo. I don’t know anyone that doesn’t love it. What adorable cupcakes! Long time no chat, girl–you totally owned this challenge! I’m lying here in bed and seriously just got hit by a major lemon craving. Can’t wait to get up and make these super soon! Wishing you a lovely lovely week, Jess! Yum!! I love these! They’re so cute, and that meringue looks PERFECT!! Such a great cupcake flavor! Such a perfect summer flavor combo – love this! 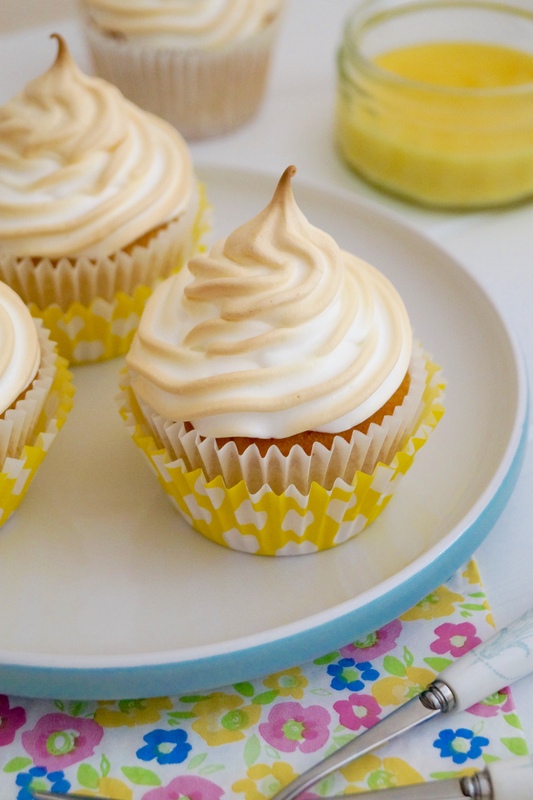 Love the citrus flavor combined with clouds of meringue, this classic combo can never get old! These look great! I am definitely going to try this recipe. Just wondering do you have a recipe for the lemon curd? Hi Lorraine! That’s great – I really hope you enjoy the cupcakes! 😀 I made my own lemon curd, but I haven’t quite perfected my recipe yet – so I’m going to work on it before I share it on my blog. But I often buy lemon curd readymade from supermarket for ease. Love these but would they keep overnight with the meringue? Fridge or not? Would an Italian meringue keep better? I am working my way through your recipes and they haven’t failed me yet! Hi Mary – glad to hear you’re enjoying my recipes. 🙂 These cupcakes with the meringue topping will keep stored in an airtight container for 2-3 days. Enjoy!